Variable Frequency Drive or VFD is the system that controls the speed of a rotating device such as motor by applying varying frequency AC voltage. It is a kind of adjustable speed drive widely used in domestic and industrial applications such as pumps, ventilation systems, elevators, machine tool drives etc. 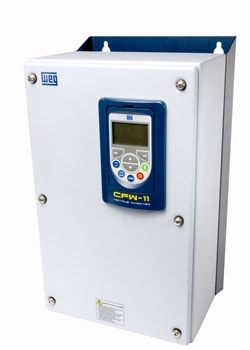 The VFD is also called as Inverter drive or variable speed drive. By controlling the output AC frequency, it is possible to drive the device at different speed based on the requirements. It is essentially an energy saving system.